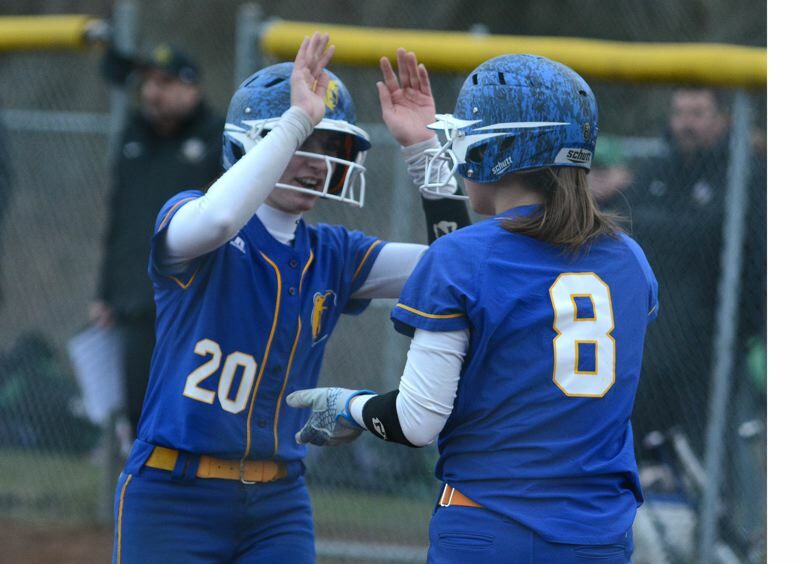 PORTLAND — Jesuit was two outs away from taking the 2019 softball season opener at Barlow on Wednesday afternoon, but the Bruins had other ideas. Down four runs heading into its final at-bats, Barlow got kick started by the bottom of its lineup with Savannah Darling punching a single through the left side, and Olivia Brown drawing a walk. "Once we got those first runners on, the whole demeanor changed," Barlow shortstop Sammie Pemberton said. Alexa Bailey was hit by a pitch to load the bases, and Pemberton sent a two-strike pitch through the left side to get the scoring started. Two batters later, Emily Virell stepped into the batter's box facing two outs with her team still down two runs. She whacked a hit through the middle that hopped into the center-field grass. Bailey scored easily from third base, and Pemberton followed with a head-first dive across the plate to tie the game. "I go two bases on everything, so I knew I was heading for home on contact," Pemberton said. "I dove in to get around the catcher, and everyone was up in my face and happy. As soon as I got in, I was up on the fence cheering for our next girl." That next girl was Tyler Swindell, who was issued a free pass to first to load the bases. Next up was pinch-hitter Pashence Vascovi, who took the first pitch off her shin — another free pass to give the Bruins the 7-6 win. "My first instinct was to move away, but it was the difference between a win and a loss, so I stayed in there and took it," Vascovi said. "Jesuit is a top five or six teams every year — this is huge," Barlow coach Rob Gehrke said. "The girls just fought, played hard and showed a lot of heart." 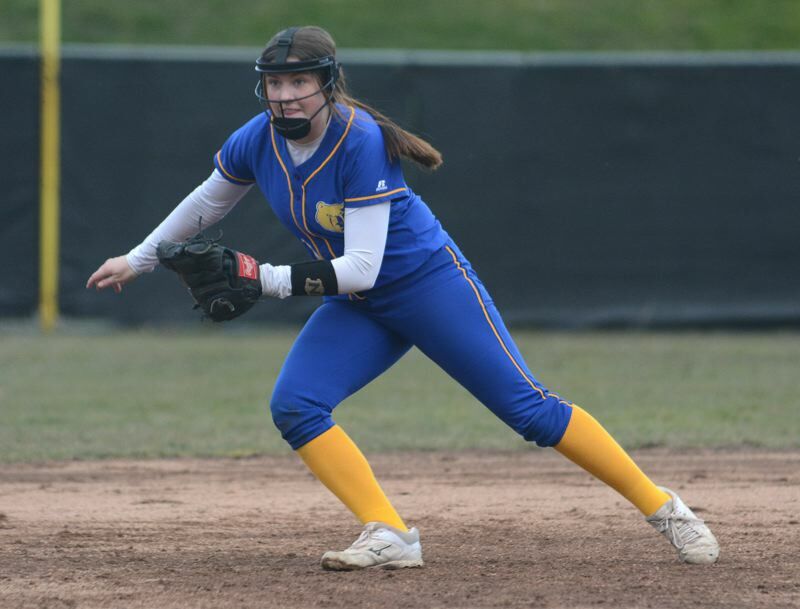 The Crusaders seemed to have the game under control after a two-out rally in the sixth inning that saw the team put together four consecutive hits, going up 6-2 when Maya Williams sent a double into the right-field corner. The Bruins got out of the inning when Brown snagged a knee-high hopper next to second base to strand two Crusaders in scoring position. 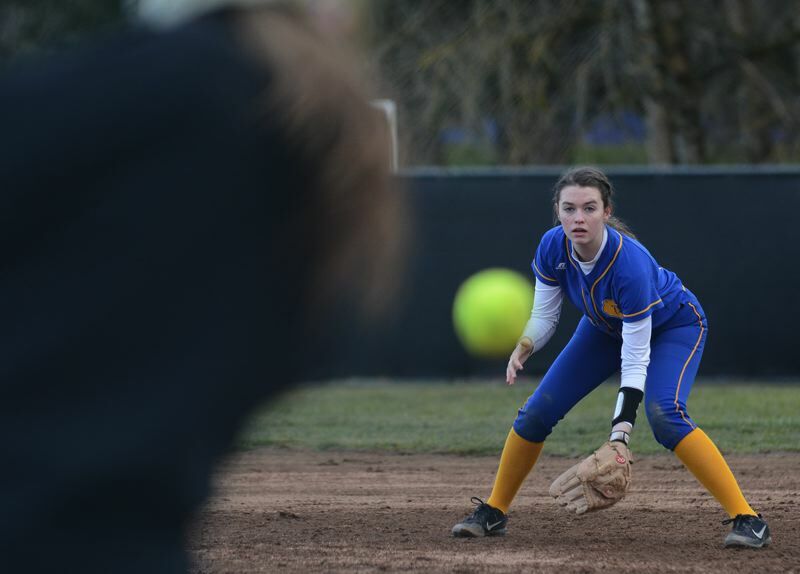 "We just had to slow the game down and stay in a rhythm," Barlow pitcher Lexi Geary said. "The atmosphere never got down on our side." Geary went the distance and struck out seven. Jesuit gained the upper hand early on a two-run homer by Georgia Corey in the first inning. 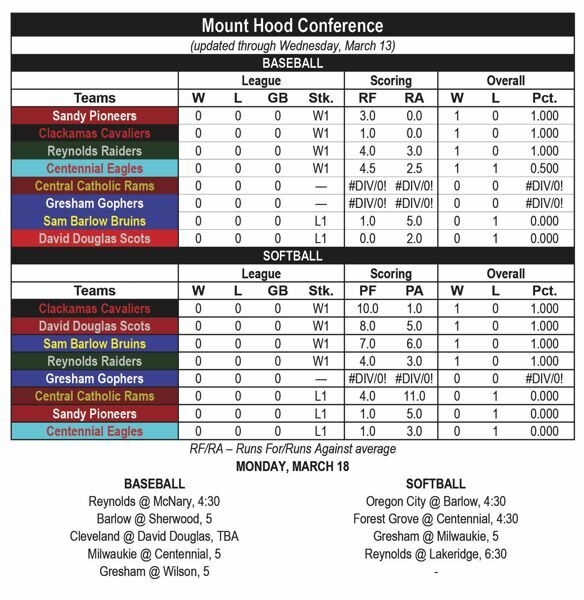 The Crusaders expanded to a 4-1 margin before Pemberton sent an RBI-double down the left-field line with two outs in the bottom of the fifth. This story is slated for our Friday, March 15, print edition.